Fairytales don’t exist, so we must create these atmosphere ourselves. 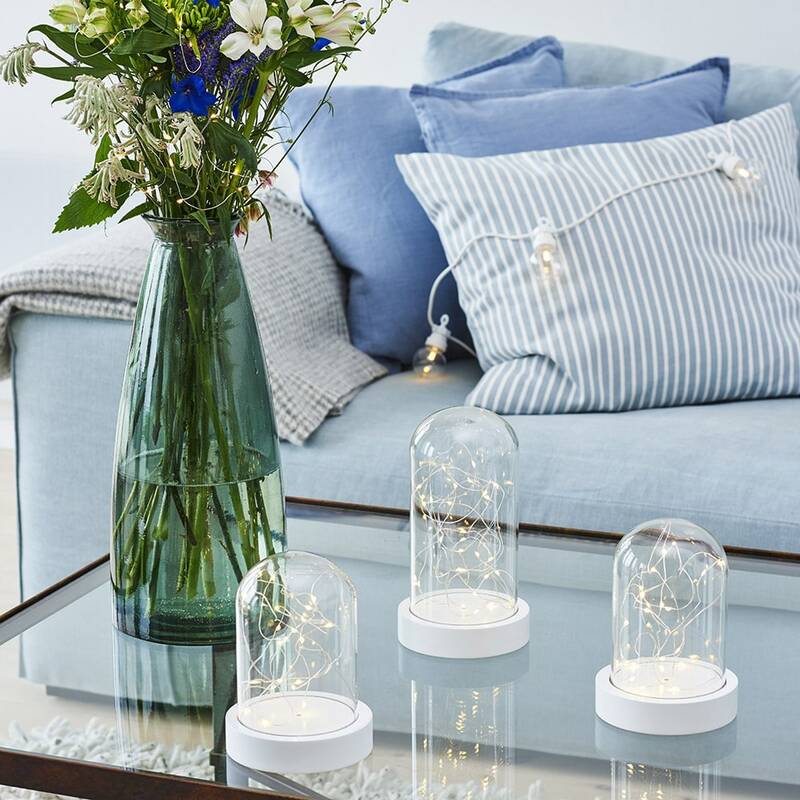 These adorable frosted glass domes with small glittering fairylights are ideal! Not only for Christmas, but also the rest of the year these magical, modern glass domes light up the room. The glass dome contains 20 or 30 small glittering lights; the glass dome has a white wooden bottom where batteries can be inserted. The batteries are not included. 3 AAA batteries can be inserted; the glass dome has a timer function of 4 or 8 hours. The lights turns on automatically the next day at the same hour. Dimensions: Diameter: 12 cm; height: 20 cm. Dimensions: Diameter: 12 cm; height: 25 cm.